Comes to India next year. 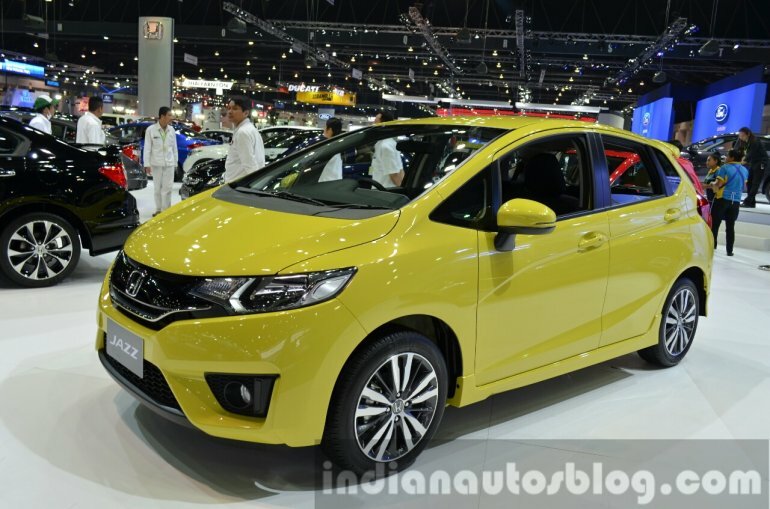 The 2014 Honda Jazz which was launched in Thailand in May, has been brought for display at the 2014 Thailand International Motor Expo. Thailand was the first country in the South East Asian region to get the car. Branded as the Honda Fit in Japan, the premium hatchback, now in its third generation, comes with the “Solid Wing Face” and shares its underpinning with the Honda City. While the exterior shared parts are not many, the dashboard, instrumentation and soft components for the interior are common to both models. The Thai market gets its Jazz with the 1.5 litre SOHC i-VTEC engine that develops 117 bhp and 146 Nm. 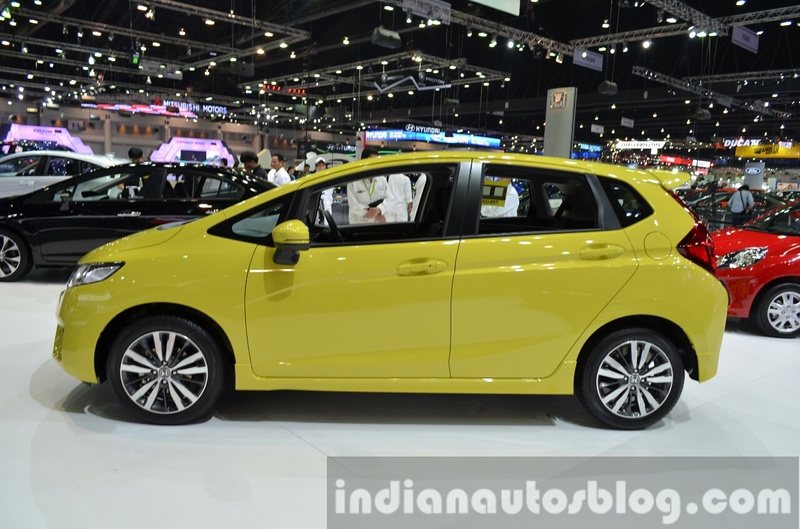 The E85-compatible four-cylinder mill is the same as the one sold on the Indian City. The engine is paired to the familiar seven-speed stepped CVT that has paddles behind the steering. The pick of the features are the seven-inch touch-screen audio system with HDMI support, Siri Eyes-Free Mode for iPhone (4S and above), touch-screen controls for the auto AC, steering-mounted audio/phone controls, keyless entry and push-button start. The top-end Jazz is fitted with safety features such as ABS, EBD, VSA, 6 airbags and a reverse camera. The car, when launched, was priced from 555,000 baht (INR 10.49 lakhs) for the manual version (S MT). The base CVT variant (S AT) was priced at for 594,000 baht (INR 11.21 lakhs), rising to 754,000 baht (INR 14.23 lakhs) for the top-end SV+ spec. 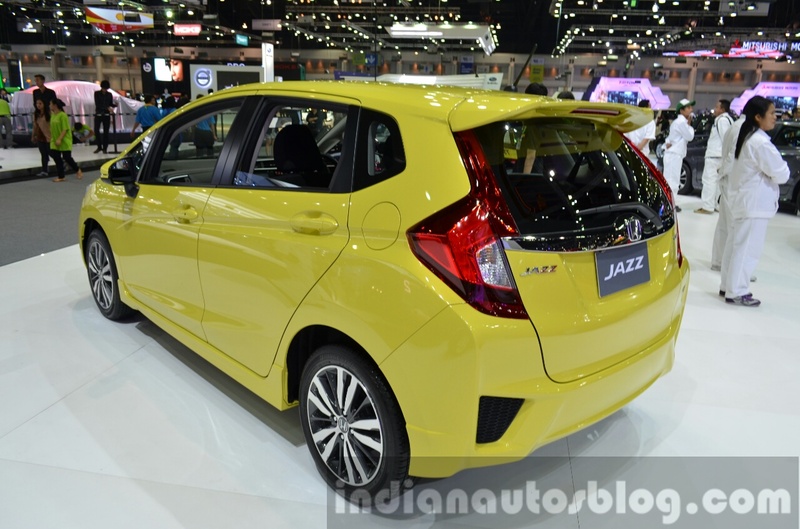 Expect the new Honda Jazz to launch in India in 2015, with an optional 1.5-liter i-DTEC diesel engine.